Being the first platform, PrepLadder always keep their ardent readers updated about the latest information essential for PG aspirants across the nation. Thus, once again, we have come forward with this blog to enlighten all the post graduate aspirants about the beginning of the registration process from September 12, 2017 for various PG courses such as MD/MS and MCh/DM(6 years duration) at AIIMS New Delhi and five other AIIMS (Bhopal, Bhubaneswar, Jodhpur, Raipur & Rishikesh) for January 2018 session. 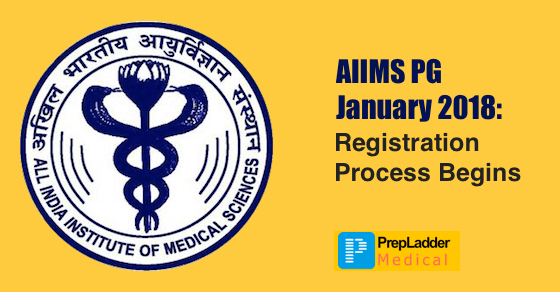 Prospectus and detailed information will be soon available on AIIMS official website as well as PrepLadder.